Welcome to our bathroom design webpage! Attempting to visualise your future bathroom is not always possible. 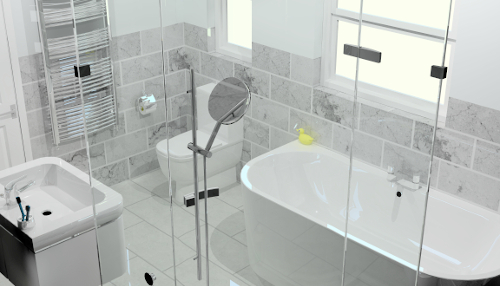 Our bathroom designs utilise 21st-century technology using advanced CAD systems which allow us to build your bathroom in 3D and produce stunning visualisations in High Definition (HD) quality for you to visualise. 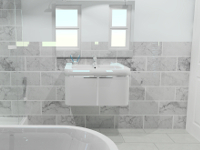 Our software caters for all bathroom tastes, including classical designs to modern and minimalist. 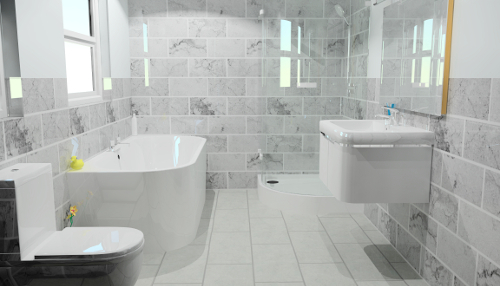 We can design your new bathroom, big or small, including wet rooms! Your bathroom design will begin with a home visit, and we start by measuring your bathroom. We can then sit down and discuss what your vision is and preferences on style. 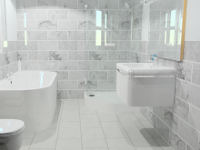 Our staff member will be able to offer you technical advice and product suggestions based on our vast experience in designing and installing bathrooms throughout Merseyside. Our software contains thousands of bathroom fittings, tiles and fixtures, including designer brands, for you to select and visualise. 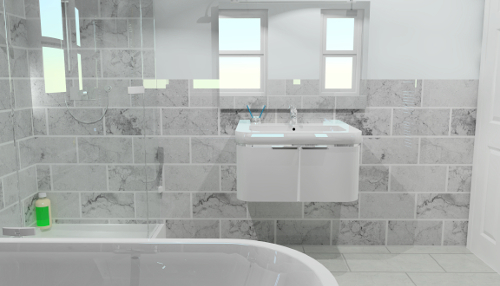 Your bathroom will be created and modelled in front of you and compiled by our CAD software. This process will allow you to make design changes and inspect how various bathroom fittings would appear. The design possibilities are endless! We understand that everyone's budget is different and if you are comfortable discussing your budget, we will endeavour to design your bathroom to your personal fixed budget. We believe profusely in being open and honest about our workmanship. 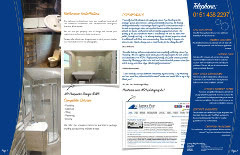 We openly publish our complete bathroom installations online, which you can view in our bathroom photographs gallery. 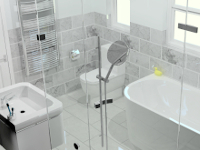 Our bathroom design service is available to all areas within Merseyside, including Knowsley, St Helens, Sefton, Wirral, and the great city of Liverpool.